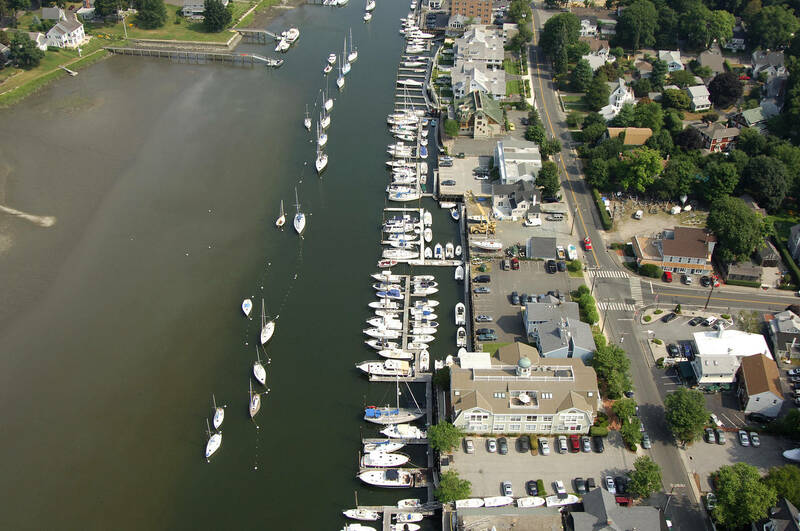 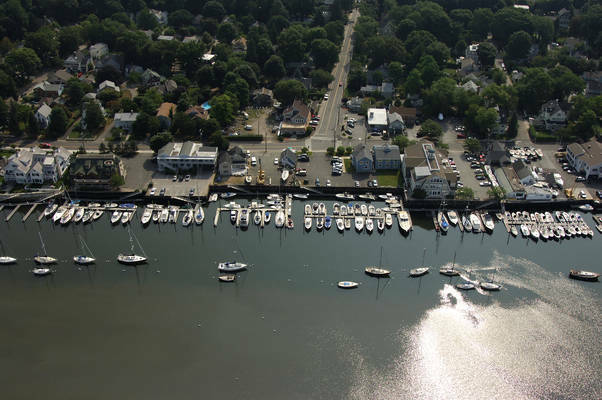 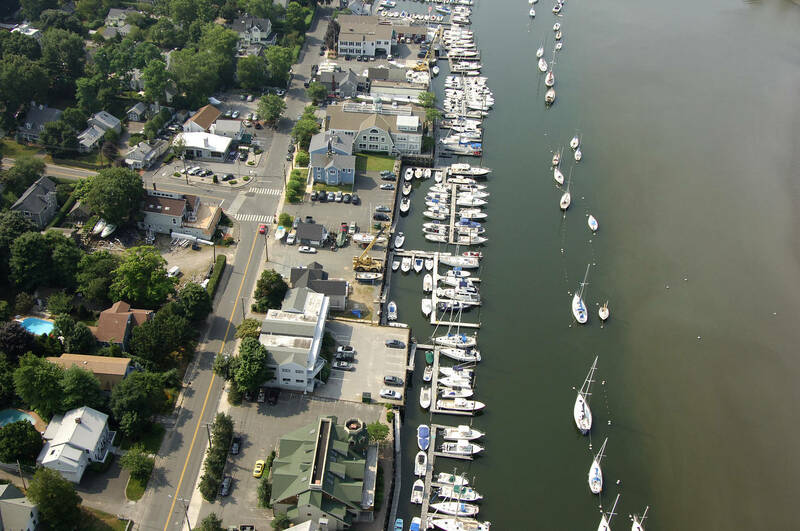 At its mouth, the Five Mile River runs between the Connecticut towns of Darien and Rowayton and forms a beautiful and protected harbor. 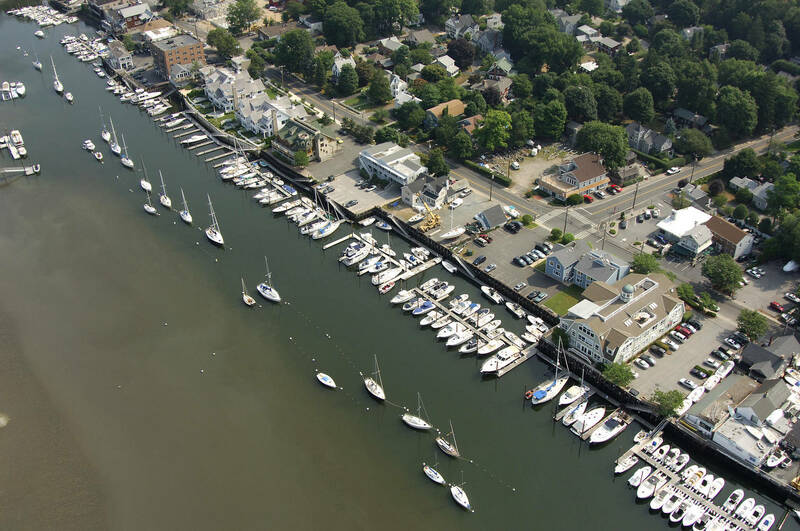 The federal channel runs East of the mooring strings to the marinas on the Rowayton side of the River. 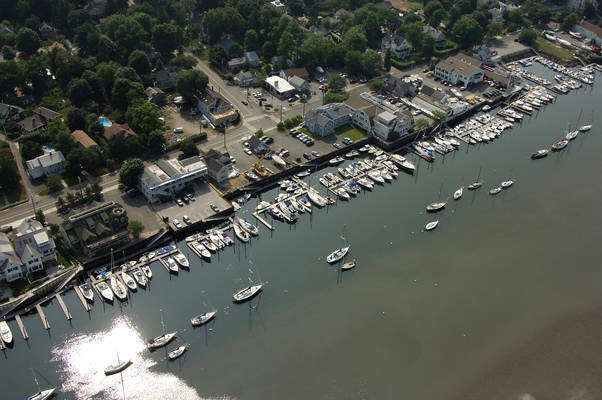 At high tide it may appear that there is plenty of water to the West of these strings but do not venture there. 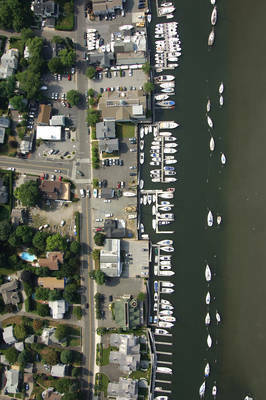 At low water, the bottom is showing. 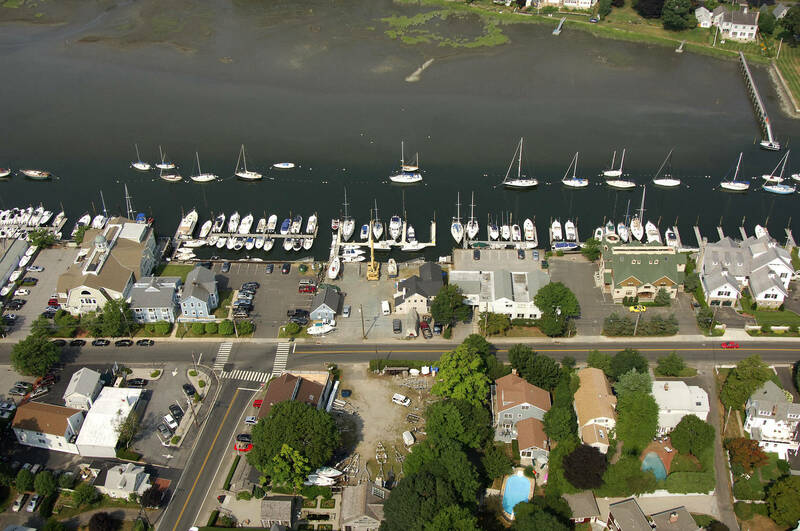 Nearly adjacent to the two transient moorings, there is a town dock that allows for 2 hour dinghy tie ups for those who would like to walk the quaint town of Rowayton to dine and shop.